The 2017-18 season was the Atlanta Hawks’ 68th in the NBA. The Hawks finished the regular season 24-58 which placed them in last place in the Eastern Conference and subsequently not qualifying for the postseason. The Hawks are locked and loaded and poised to put the NBA on notice this upcoming season. With high energy and toughness on both sides of the ball, the Hawks are looking to bring home an NBA championship. Division rivals the Washington Wizards and the Miami Heat will strive to spoil the Hawks plans. The Atlanta Hawks schedule is out, it's time to see your favorite team dominate the court! Grab some great Hawks tickets, some friends, and go cheer on your favorite team in a wild NBA championship chase. The Atlanta Hawks may not have a list of championships to their name, but they’ve certainly produced a number of entertaining and memorable moments in their history. Below are a few of them. The Perfect Month - After the 2014-15 NBA season, January is considered the month of the Hawks. On January 31, 2015, at the Philips Arena, Atlanta Hawks beat Trail Blazers in front of a crowd of 19,006 and became the first NBA team to go undefeated in 17 games in a calendar month. Before this spectacular winning streak, it was believed that a team that could put forth such a consistent performance would be from the top tier. Hawks weren’t considered a top tier side at the time but their 17-0 run certainly changed the way they were perceived. Owing to this historic run, all Atlanta Hawks starters namely Jeff Teague, DeMarre Carroll, Al-Horford, Paul Millsap and Kyle Korver were named co-players of the month. The Hawks finished the season with a 60-22 record and ended up as the top seed in the Eastern Conference. Bird vs. Wilkins Game 7 of the 1988 NBA Playoffs – The legendary Game 7 duel between Atlanta Hawks’ Dominique Wilkins and Boston Celtics’ Larry Bird on May, 22, 1988, at the Omni Coliseum is considered to be one of the greatest showdowns in the history of the NBA. Dominique dominated the game in the first three quarters, scoring 33 points to Bird’s 14. Then in the fourth quarter, Bird bounced back in spectacular fashion and went on to score 20 points which helped the Celtics win the game. Nevertheless, (although the Atlanta Hawks lost that game and the series) Dominique scored 47 points on an impressive 19 of 33 shooting, which is regarded as among the greatest performances in the history of the franchise. Atlanta Hawks are known to be an unpredictable side. Over the years, they have established rivalries with a number of teams. Below are a few worth mentioning. Boston Celtics - The Hawks-Celtics rivalry in the Eastern Conference has lasted for more than half a century. In their regular season league history, the two teams have clashed a total of 368 times. Out of these, the Celtics have won 226 games while the Hawks have won 142. Although the Celtics lead in terms of wins, the rivalry between the two sides has been an intense one. The epic Game 7 duel between Dominique Wilkins (also known as the Human Highlight Reel) and Larry Bird stands out in this regard. The Hawks-Celtics long-time rivalry was further fueled when Hawks’ All-Star Center Al Horford joined the Boston Celtics in 2016. Orlando Magic - Southeast Division rivals Atlanta Hawks and Orlando Magic share a strong rivalry. They have faced off in regular season games a total of 108 times. Out of these, the Hawks have won 56 while Magic have 52 wins to their credit. The all-time playoff head to head record boasts of 10 wins for Orlando Magic and 5 for the Hawks. The Hawks-Magic rivalry can be largely credited to the playoff meetings and the rise of Josh Smith (who played for the Hawks ) and Dwight Howard (who played for Orlando Magic). Both players were raised in Georgia and began careers with their respective teams following the 2004 NBA draft. The Hawks and Magic met twice in the 2010 and 2011 NBA playoffs. While Orlando Magic eliminated the Hawks in the second round of the 2010 playoffs, Atlanta beat Orlando 4-2 in the first round of the 2011 playoffs. Atlanta Hawks have produced some of the greatest players. Mentioned below are a few of them. Bob Petit - Bob Petit spent his entire NBA career (11 seasons) with the Atlanta Hawks. He was the first recipient of the prestigious MVP Award of the NBA. Petit went on to bag the NBA All-Star game MVP award a total of four times. This is an achievement only matched by Kobe Bryant. Petit posted a career scoring average of 26.4 points per game, which is the seventh highest career average in the history of the league. He led the Hawks to their memorable 1958 championship. In 1970, Bob Petit received induction into the esteemed Naismith Memorial Basketball Hall of Fame. Dominique Wilkins - Dominique Wilkins is regarded by many as the finest all-time Hawk player. Owing to his exceptional athletic abilities, he was nicknamed the Human Highlight Film. As a Hawk, Dominique averaged 26.4 points per game in a span of twelve years. In his highest scoring season (1986), he averaged 30.3 points per game and led the league as the top scorer. A nine-time NBA All-Star and one of the best dunkers in the league, Dominique Wilkins is the greatest scorer in the history of the Atlanta Hawks. The Phillips Arena is one of the most fan-friendly venues in the NBA. Philips Arena arranges club seats and luxury boxes aligned solely along one side of the playing surface, and the general admission seating along the other three sides, so every Hawks ticket can place the fans as close to the playing surface as possible. Fans can also enjoy visiting the CNN studios and the Georgia Aquarium, which stand adjacent to the stadium, before Hawks contests. The schedule for the Atlanta Hawks’ preseason and regular season games has been announced. Atlanta Hawks tickets can be purchased up until the day of the game, you do not want to miss out on any of their action-packed games this season! So buy your Atlanta Hawks game tickets and catch your favorite players in action against rivals such as the Miami Heat and the Chicago Bulls. Our process for purchasing cheap Atlanta Hawks tickets is simple and fast. There are so many online ticketing sites, that it can be hard for customers to find the right place to buy Atlanta Hawks tickets at the cheapest price. At ScoreBig we think of our customers first and foremost. We offer daily deals for Atlanta Hawks events, so our customers can get the best seats for the best prices. ScoreBig will always go above and beyond to offer the cheapest Atlanta Hawks tickets on the market. The Atlanta Hawks schedule above, displays all available events for 2019 and 2020. Once you find the event that you would like to go to, click the red “Get Tickets” button. It is located on the right-hand side of the event listing, it will take you to an Atlanta Hawks event ticket page. ScoreBig's event ticket page will display all available Atlanta Hawks tickets for that event. On the event ticket page to help with your search for the right Atlanta Hawks tickets, use the filters at the top to select quantity, price range, and more. There is also an interactive seating chart so you can pick where you want to sit. When you are ready to buy a ticket, click on the listing, and you will be directed to ScoreBig's checkout page. Upon completion of the information fields, your order will be processed and your Atlanta Hawks tickets will be delivered via email, mail, or to your mobile device. What makes ScoreBig’s site stand out from the rest? We are constantly analyzing our competitors to improve our site, service, and prices. ScoreBig.com employees strive to offer the best process and experience to buy cheap Atlanta Hawks tickets. Our goal is to get you the best seats to Atlanta Hawks events. We offer daily discounts on our site and for special promotions check out our newsletter. If there are no Atlanta Hawks events currently available, you can use our search feature at the top of the page to see a list of all popular events going on near you. No matter your price point, we have all the best deals and discounts on Atlanta Hawks tickets. For more information on prices of Atlanta Hawks tickets and the schedule for Atlanta Hawks, check out our listings above. The last thing you want to find out is when the Atlanta Hawks event you wanted to go to is sold-out. Don’t worry in many cases ScoreBig has affordable tickets to sold out events. We sell tickets from GA all the way to premium seating and parking. Skip the scalpers in the parking lot and get your tickets online from top Atlanta Hawks ticket brokers. We get you in all events, buy your Atlanta Hawks tickets here from a brand that many trust and rely on for all their ticketing needs. ScoreBig offers a 100% money-back guarantee. If you have been in search of cheap tickets for Atlanta Hawks, ScoreBig by far is the best option. That’s why ScoreBig has more loyal customers than any other ticketing site. 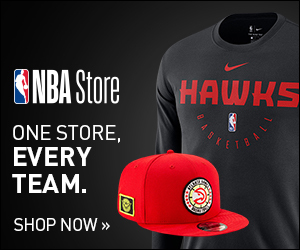 Shop at ScoreBig for safe and secure Atlanta Hawks event tickets.